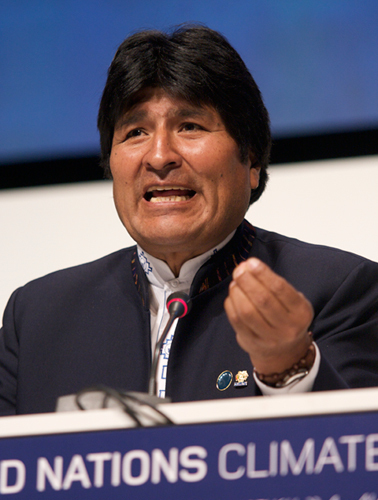 Bolivian officials have accused Austria of kidnapping Evo Morales the President. The accusations came after authorities from Austria searched Morales’ plane during a Vienna stopover on the suspicion that the Bolivian President was carrying Edward Snowden the U.S. fugitive intelligence analyst back to Latin America. A senior diplomat from Bolivia said Austria had acted upon a request by the U.S., which has attempted to find Snowden and return him to face espionage charges after he leaked secret surveillance details in June. The diplomat, Sacha Llorenti Soliz, said the president of a country, on an official trip following an official summit was kidnapped. The Bolivian president’s plane, which was carrying him home following a Moscow energy conference, was stranded at the airport in Vienna for a number of hours after both France and Portugal had refused requests by the aircraft to fly across their airspace. Authorities did not find Snowden aboard the aircraft and eventually the aircraft left Vienna at about noontime Wednesday. This incident with the plane from Bolivia is just the latest of many since this saga started. Bolivia is part of the leftist bloc of Latin America led by Venezuela, which has challenged the economic and political influence of the U.S. in Latin America. The Bolivians denounced the actions taken by Austria as a violation of international law and an act of aggression. Bolivia said it would lodge an official complaint with the United Nations. However, Austria said that Morales voluntarily agreed to an inspection of his plane. Bolivia is one of over dozen places Snowden has requested asylum and Morales said he would take into consideration granting refuge to the American.